Looking for a fabulous camping experience in the perfect Rocky Mountain setting? 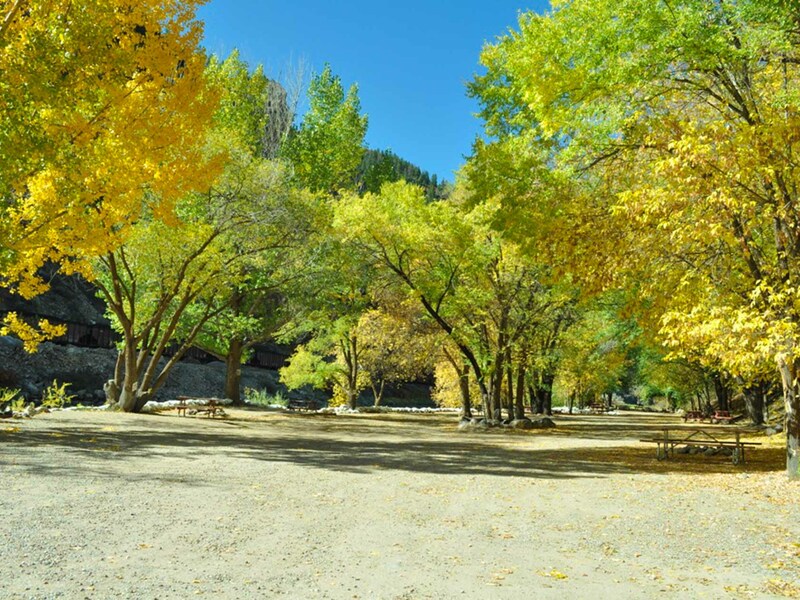 Glenwood Canyon Resort offers a wide range of RV and tent camping sites in the spectacular Glenwood Canyon right on the Colorado River! 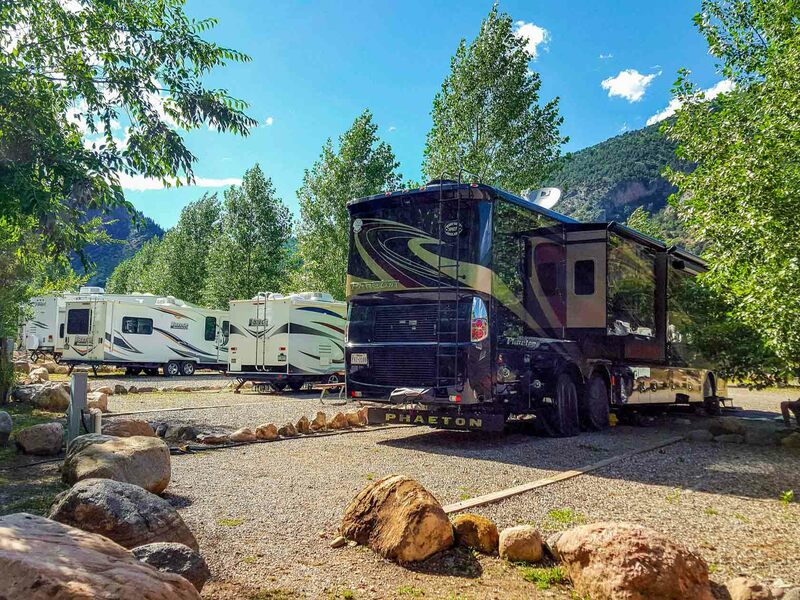 Small RVs, truck campers, camping vans and pop-up campers will be thrilled with a camping site right on the banks of the mighty Colorado River! 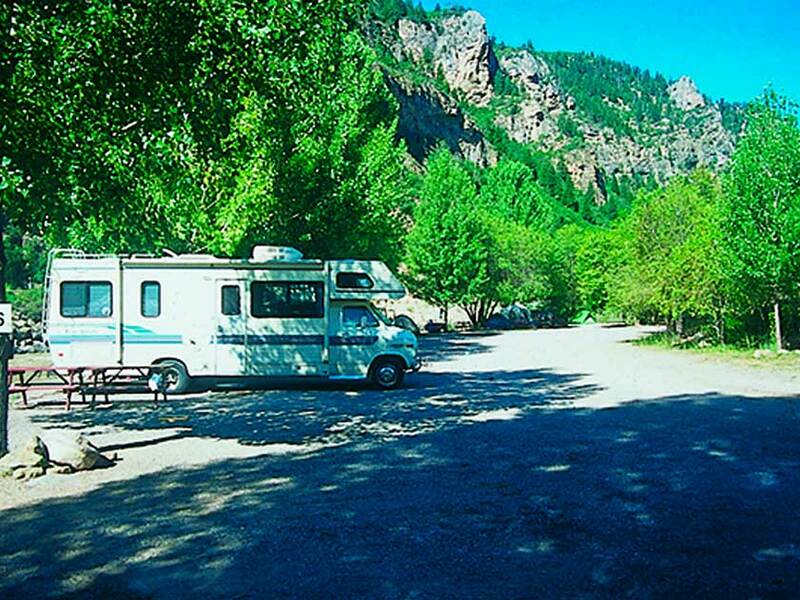 Full hook-up RV sites with water, sewer and electric, picnic table and fabulous views of Glenwood Canyon! Close to dining and all the activities that bring you to Colorado! The group tent site area is designed for smaller tents in a cozy setting that share a common fire ring, barbecue grills and picnic tables. Looking for a fabulous camping experience? The Glenwood Canyon Resort has just what you’re looking for in a pristine setting of the spectacular Glenwood Canyon. The Colorado River runs right over our property offering you the unique experience of camping right on the river. We’re just 2 miles east of Glenwood Springs but in a world of our own! Our wide range of camping options include sites for those with tents, pop-up campers, truck campers, and small RVs all the way to the Big Riggers! We offer our guests the opportunity to camp right along the river where the rushing, yet soothing sounds of the river will lull you to sleep. Picture yourself in one of our cozy riverside cabins. How about pitching your tent inches from the river? If you prefer to pull in with your RV carrying all the comforts of home with you, we’ve got you covered. Nothing beats relaxing around the campfire after a full day of adventure. All of our sites along the river have their own campfire ring and picnic table. Situated just up from our lower riverfront campground boasts our RV park with full hook-up sites for the biggest of rigs. You’ll be just steps away from the wonderfully popular No Name Bar & Grill, which just happens to be the best place around to grab a yummy bite and your favorite beverage as you soak up the warm summer sun! 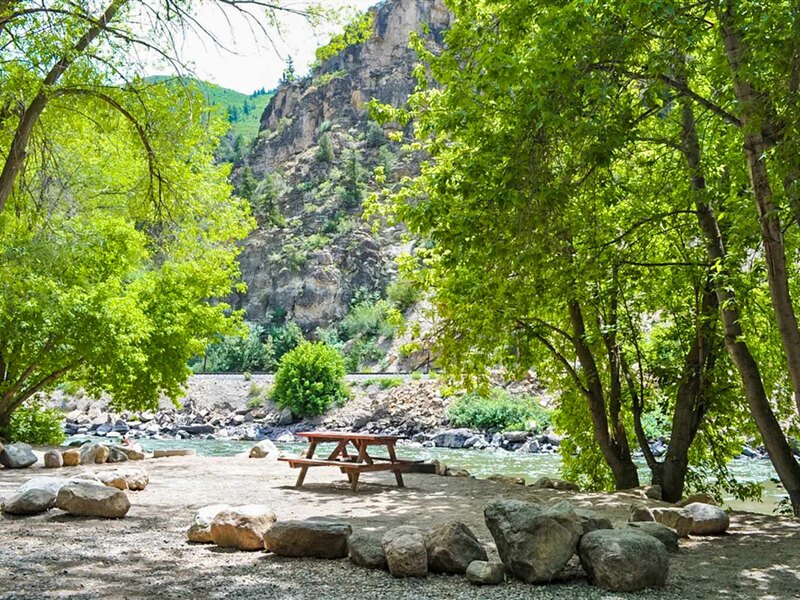 You’ll also enjoy easy access to the Glenwood Canyon Recreational Trail for a bike ride or stroll along the river.